A Private Pilot License (PPL) is the first step on the ladder of aviation training. A person holding a Private Pilot Licence is allowed to fly an aircraft for recreational purposes during daytime in good weather conditions. Students need to be declared medically fit by a designated aviation medical examiner, which has been approved by the Commissioner for Civil Aviation and need at least a Class II medical certificate which is valid for 60 months if under the age of 40 or 24 months if 40 or older. With the initial examination chest x-rays are needed. Requirements are roughly the same as for a normal life insurance policy. We will assist in making the relevant appointments. There is no minimum age to start your flight training but you must be 15 years of older to go solo and 17 to obtain your Private Pilot Licence. You must be a South African citizen or a holder of a study permit. You must be proficient in English. You must be the holder of a valid student pilot licence. We host ground schools at least 3 times a year. 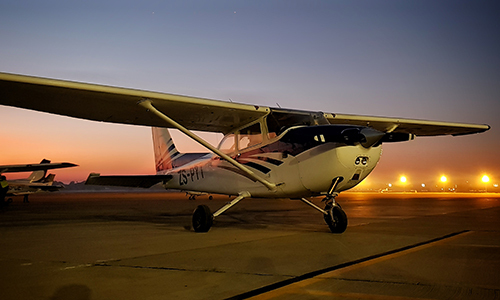 Together with our study guides, integrated training approach and with the aid of our dedicated flight instructors which offer their assistance and guidance you should easily pass the practical applied subjects. The applicant must pass 8 written exams with a minimum of 75% which is the passing score. 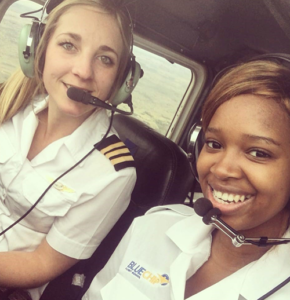 The exams are written “on line” in our accredited examination centre, linked with the South African Civil Aviation Authority. The theoretical exams are relatively straight forward and designed for the Pilot to fly for recreational purpose only. During your PPL training you will learn to do a pre-flight, post flight, take-offs and landings at different airports, how to file a flight plan, interpret weather. Learn how to navigate, all instruments in the aircraft’s cockpit including communication equipment, basic flight manoeuvres and most importantly approved safety and emergency procedures. Each flying session includes a theoretical component or briefing before and after each flight. The student will be briefed on what to prepare for in terms of checks, flows, procedures, vital actions and theory before the next flight. The test will be conducted by at least a Gr II Instructor. Each flying session includes a theoretical component or briefing of respectively 30 min. before and after each flight. The student will also be shown what to prepare for in terms of checks, flows, procedures, vital actions and theory before the next flight. Our PPL program is structured to reward students who are willing to do more than just the minimum. Our practical flying approach also offers opportunities for ‘critical-analytical’ thinking, i.e. to learn from one’s mistakes and those of others and the possible outcomes, solutions, and remedies; as well as ‘risk assessment’ briefings applicable to the professional pilot in his airline transport career.